Video footage from the Syrian regime and international media on Friday confirmed the claims of President Assad’s military that it has captured the key town of Mleiha, 10 kilometers (six miles) east of Damascus, after months of siege and attacks. The development is a sharp reversal of fortunes. 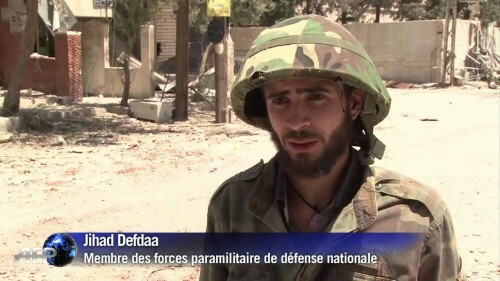 Earlier this month, insurgents had taken regime checkpoints near Mleiha, breaking the siege. However, the advance may have overextended opposition forces, as the Syrian military continued to attack the town with airstrikes and shelling. 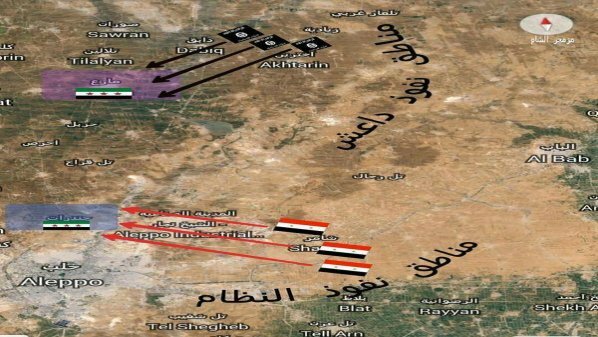 Earlier this week regime forces reportedly had taken the northern part of Mleiha, and the occupation was completed on Thursday. Mleiha’s importance is its location as the “gateway” to the insurgent-held East Ghouta area near Damascus. It served as a key point in the ring of insurgent positions that could launch attacks into the capital. Conversely, its capture means the Syrian military can try to split opposition forces in East Ghouta from those in West Ghouta. Escorted by Syrian troops on Friday, journalists from AFP saw celebrating soldiers, tractors removing rubble from the streets, and a signpost declaring “Main Mleiha Square” in the town centre near parked tanks. The army was also clearing buildings of mines. The insurgents claim they inflicted heavy casualties on regime forces between Al-Dmeir and al-Rehaibeh, including Hezbollah fighters who tried to enter the battle from Lebanon’s al-Nahleh area. The opposition forces have reportedly established a front line 2-3 kilometers from the airport and are shelling it with Grad rockets. Did Assad Regime Help Islamic State Advance Across Aleppo Province? Sources who report on the developing fight between insurgents and the Islamic State in Aleppo Province (see below) add an interesting note about possible collaboration between jihadists and the Assad regime. The sources note that Liwa Dawoud, a former insurgent faction, is fighting with the Islamic State after defecting in early July. The link with the Assad reigme? When Liwa Dawoud defected, its fighters moved en masse from their base in Idlib Province to the Islamic State heartland in Raqqa Province. To get there, they crossed southern Aleppo Province, controlled by regime forces — in effect, getting safe passage. The outcome six weeks later? A two-pronged Assad regime/Islamic State assault on insurgents in northern Aleppo Province and east of Aleppo City. Well-placed sources report on insurgent efforts to hold back the Islamic State’s advance in northern Aleppo Province. The insurgents have tried to establish a frontline east of Azaz, on the Turkish border, bringing in forces from western Aleppo Province and Idlib Province. A unified command has been established by the Islamic Front, Free Syrian Army, and Syrian Revolutionary Front. The Islamic Front has taken a series of towns and villages across northern Aleppo this week. They are threatening Azaz, a key transit point for men, supplies, and weapons. The UN Security Council adopted a resolution on Friday night which prohibits funding and supply of arms both to the jihadist Islamic State and to the insurgent faction Jabhat al-Nusra. The Council urged all UN members to prevent the movement of fighters from the groups into Syria. The body also imposed sanctions on six named individuals accused of key roles in arranging support for the two groups. PreviousIraq Daily, August 16: Another Mass Killing of Yazidis By Islamic State?